A cake featuring all of the birthday boys favourite things! a number ‘3’ cake with an icing lego board and lego men revealing a lego cake underneath. 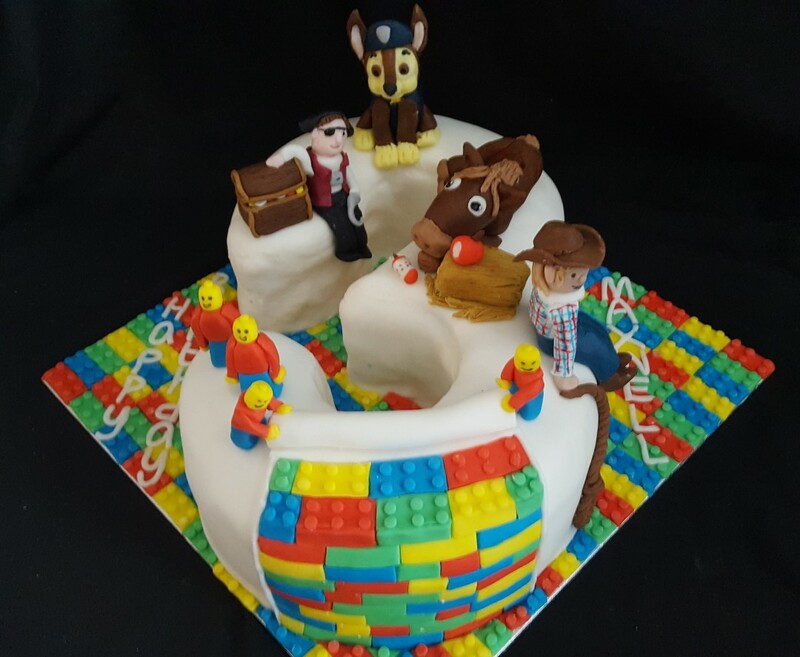 Then the cake is also decorated with a cowboy and lasso, a horse with hay bale and apple snacks, chase from Paw patrol and finally a pirate complete with treasure chest.